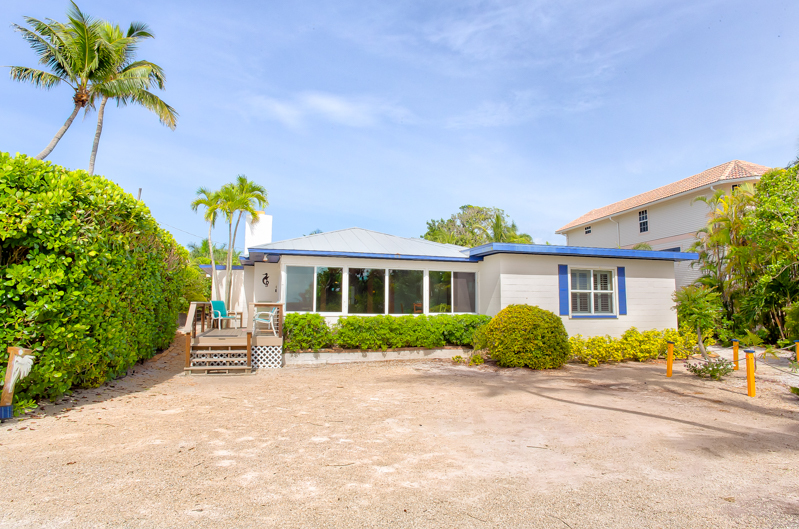 Baybarlyn is a charming Olde Captiva-style beach front home. 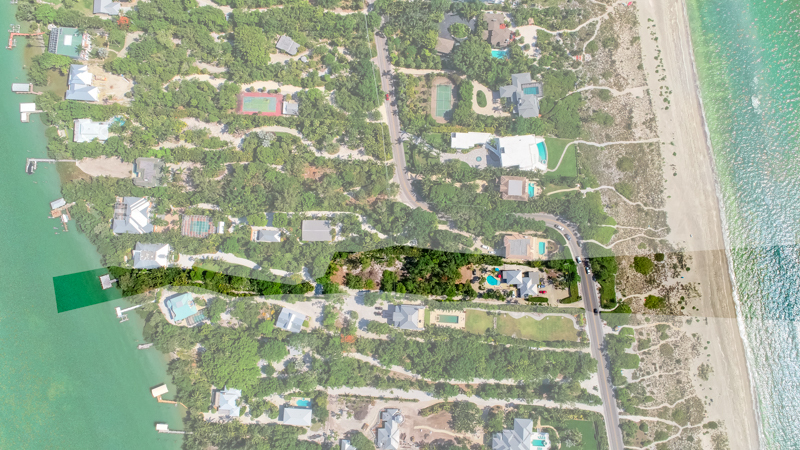 This spacious tropical haven offers 4 bedrooms, 4 full bathrooms, a large pool, a dock on Roosevelt Channel, private beach access, and direct views of the Gulf of Mexico. 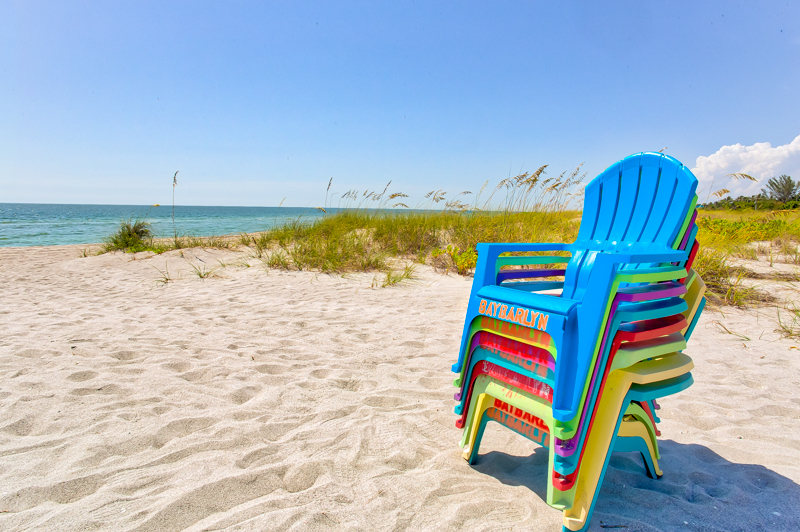 Everything you need for an unforgettable family vacation on the unique island of Captiva. 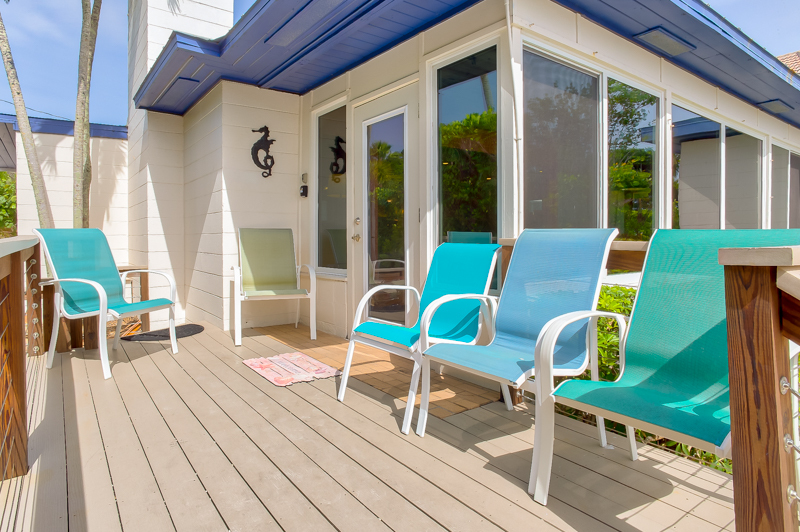 Built in 1953, this 3,000-square-foot mid-century modern house has been continually updated to allow for modern amenities, while preserving the relaxing appeal of a 1950's beach home. 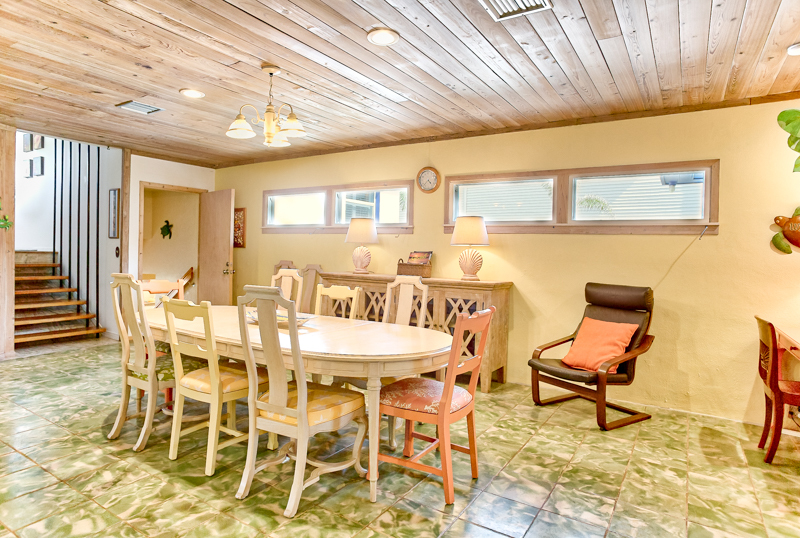 Its open floor plan is great for relaxing with the family, playing games, and creating lasting memories. 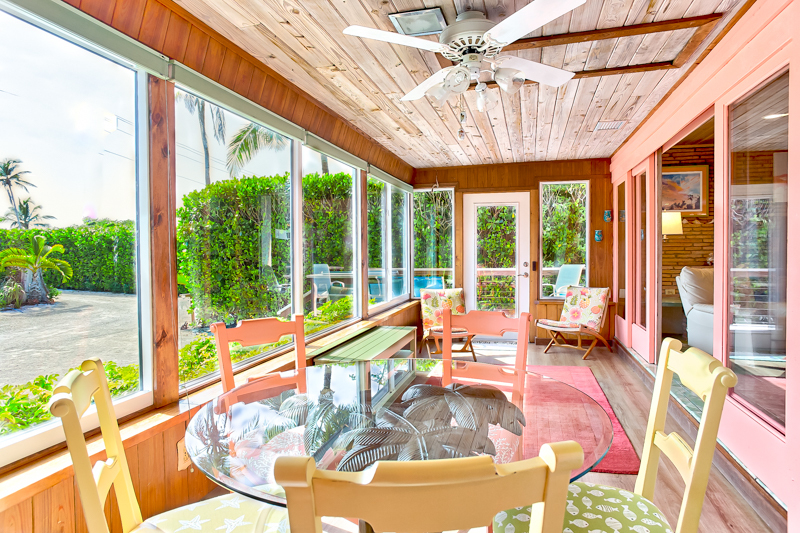 The enclosed porch with old Captiva charm perfect for sunset viewing is complete with a round table, chairs, and beautiful wood finishes. This is the perfect spot to watch the most stunning sunset you have ever seen. 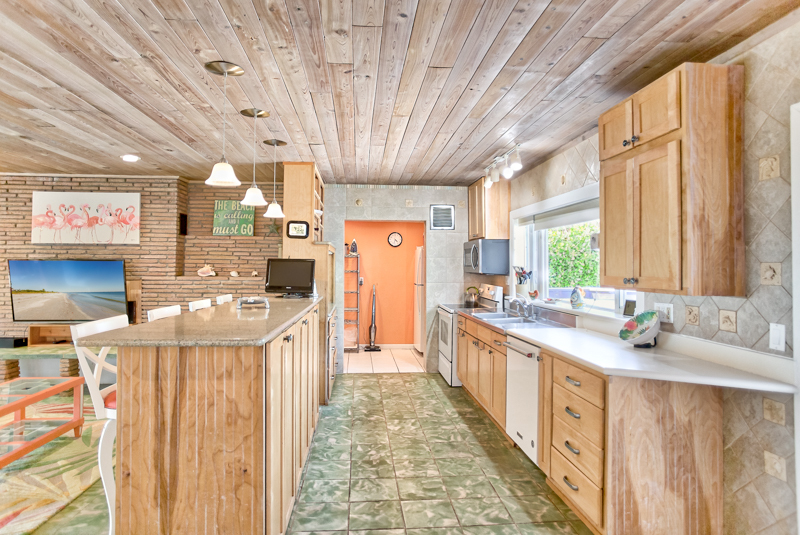 Take a small step up into the open floorplan living room, dining room, and kitchen. 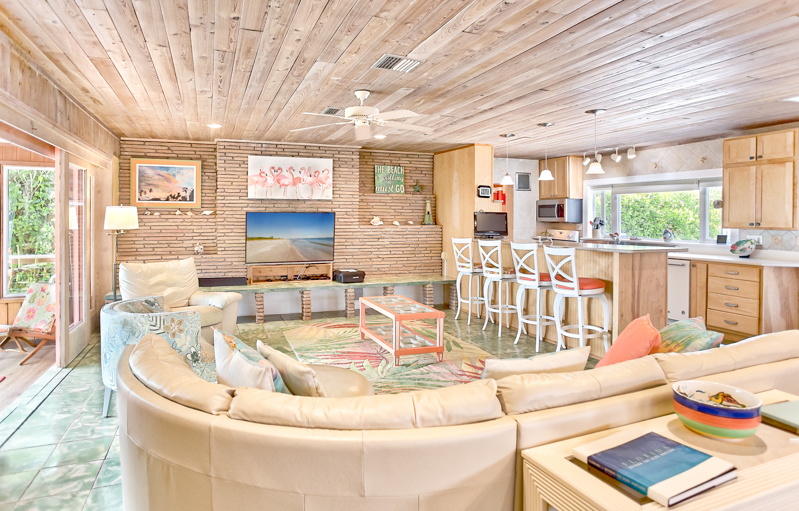 The brick fireplace features unique artwork and a large flat screen television. 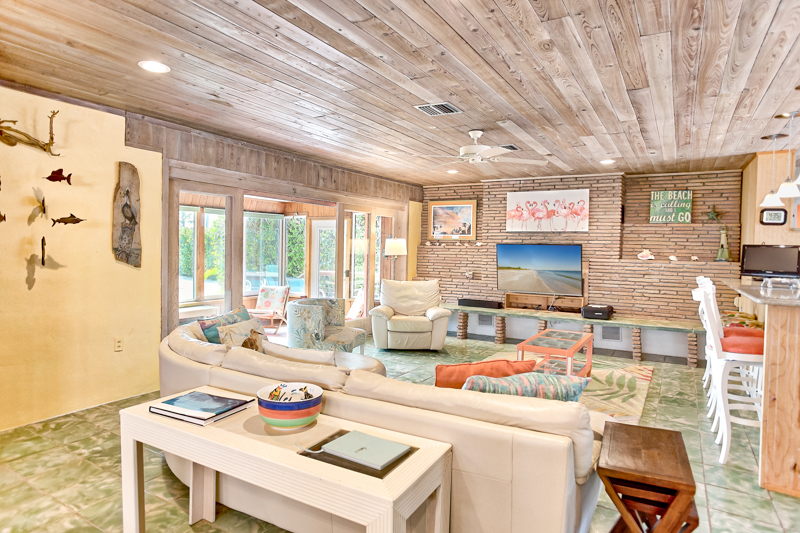 The sectional couch and extra chairs are a great spot to curl up and watch your favorite movies after a long day at the beach. The open kitchen is the perfect spot to create a great meal while still enjoying friends and family in the living room. 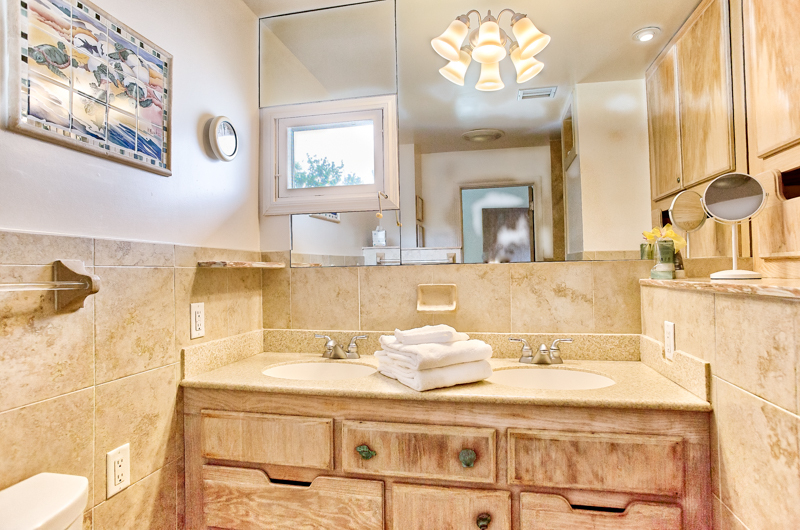 Large cabinets, a coffee bar, tall counters, and updated appliances will supply you with everything you will need to cook a fresh meal or store and reheat leftovers. 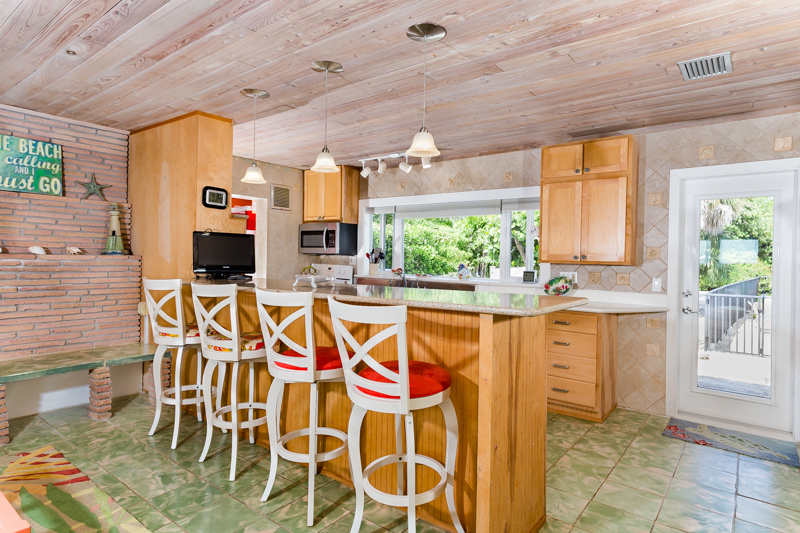 The kitchen also opens to the dining area with a large table and seating for eight. 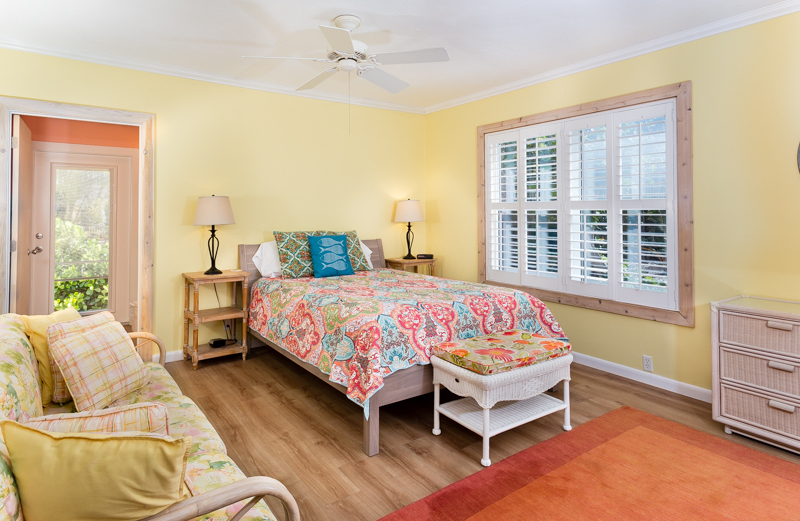 The first queen bedroom is located off the dining room and features views of the beach. 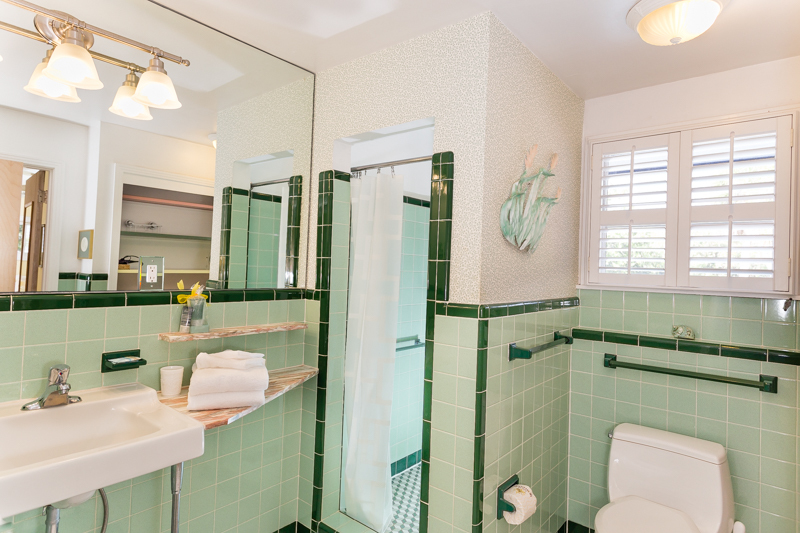 This bedroom has its own private bathroom that was recently remodeled with coastal tile accents. 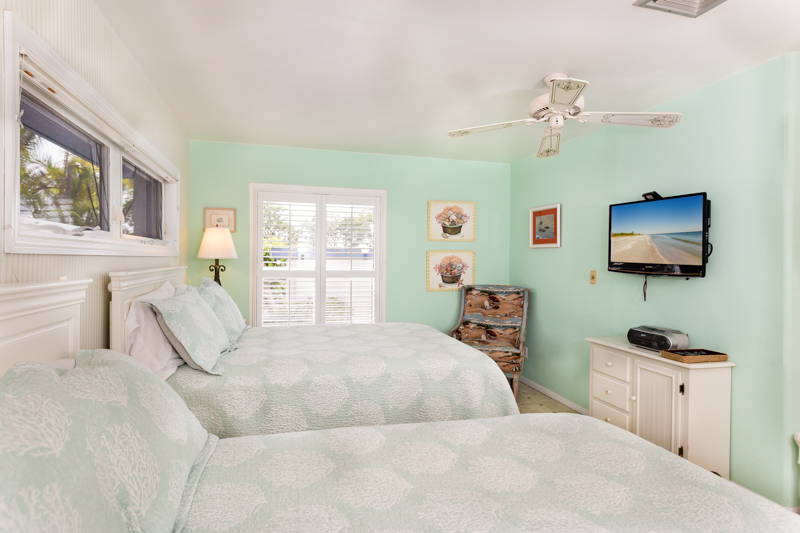 A flat screen television and couches make this a great bedroom for family and friends. 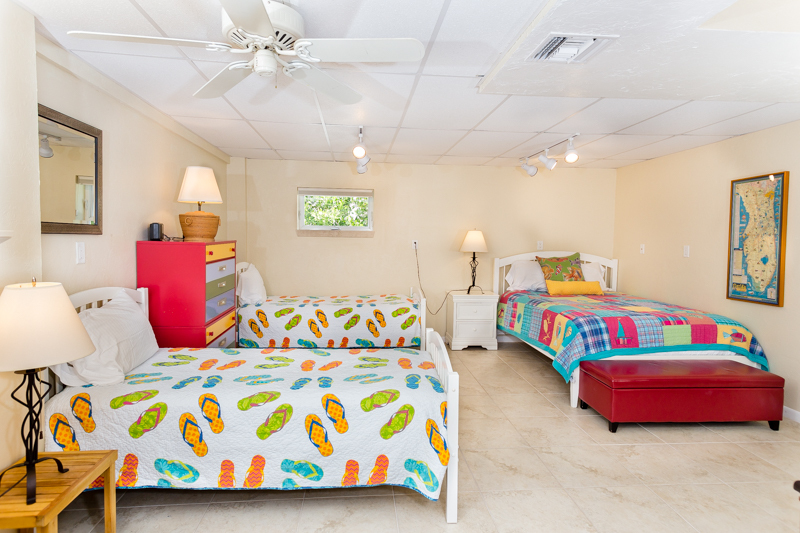 Take the short stairs down to the spacious second bedroom which is great for children or an entire family that is brightly decorated with two twin beds, a queen bed, a flat screen television, and a large window seat. 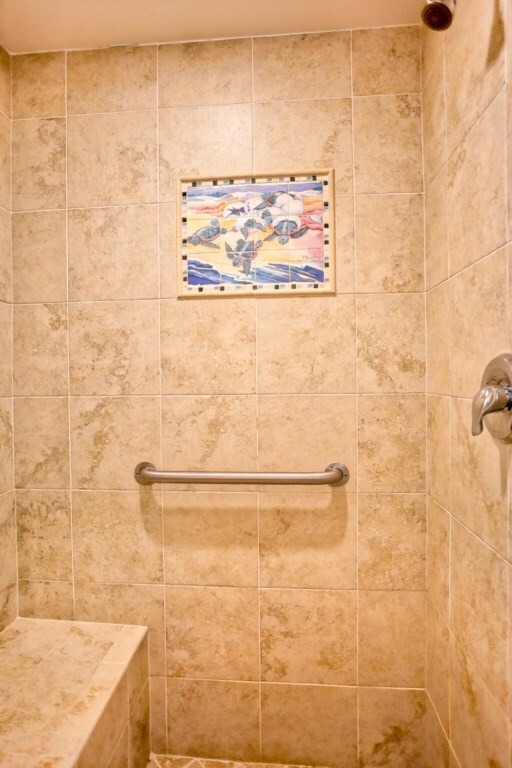 Take the short stairs up to the second floor featuring two bedrooms each with their own bathrooms. 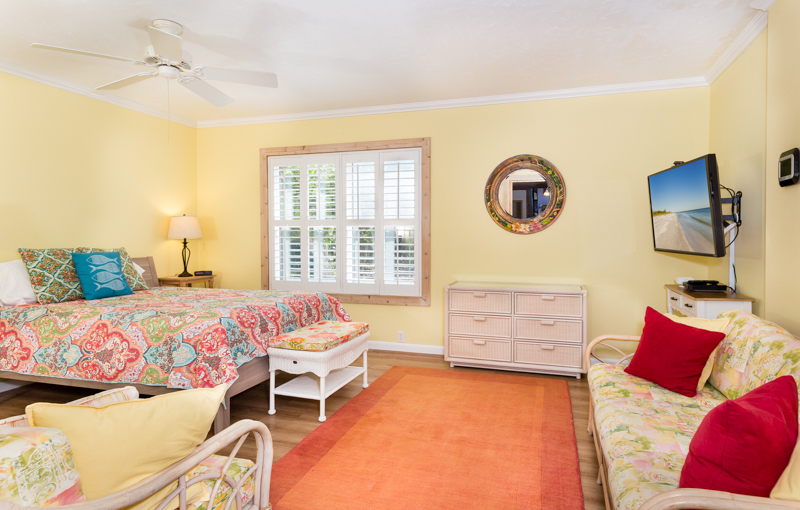 The first bedroom features two double beds, the private bathroom, and flat screen television. 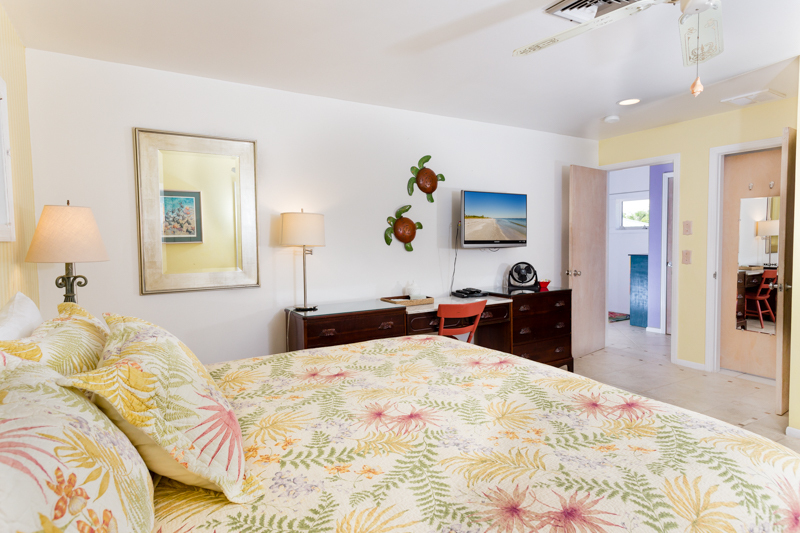 The second bedroom has a king bed, the private bathroom, and a private lanai overlooking the pool. 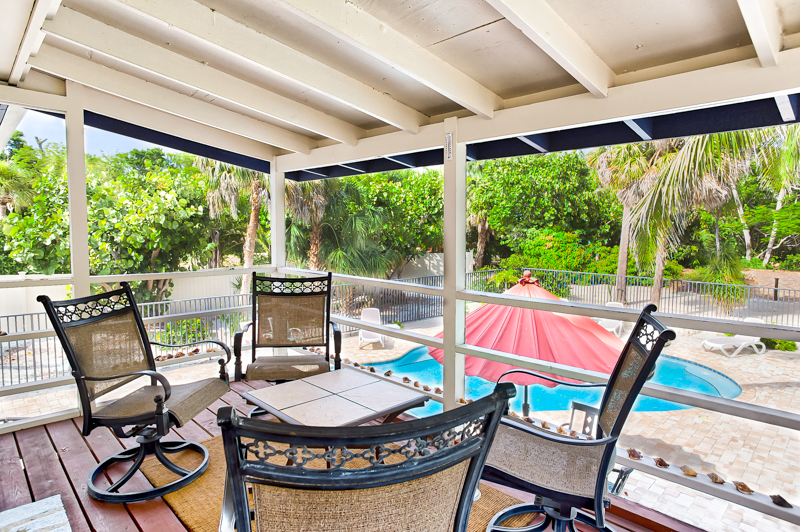 The enclosed lanai is at the perfect angle for a morning coffee while you watch the colors of the sunrise and their reflection on the pool. 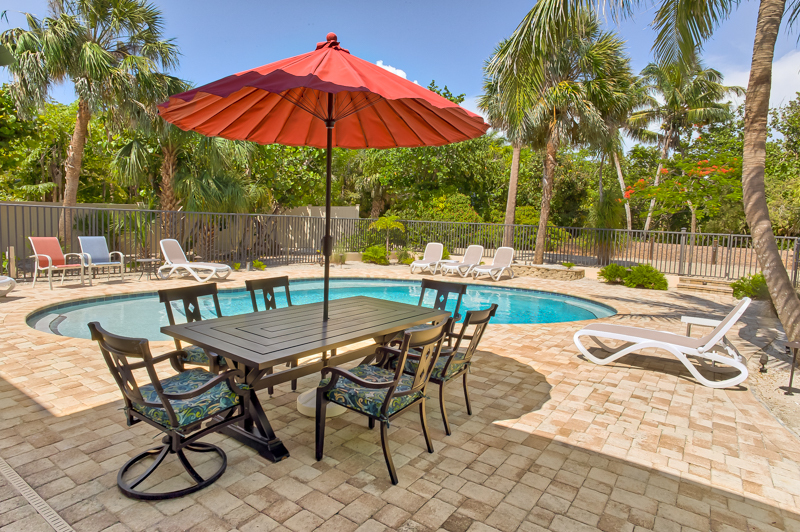 The pool is large, 32-by-16-feet, heated, and naturally landscaped. 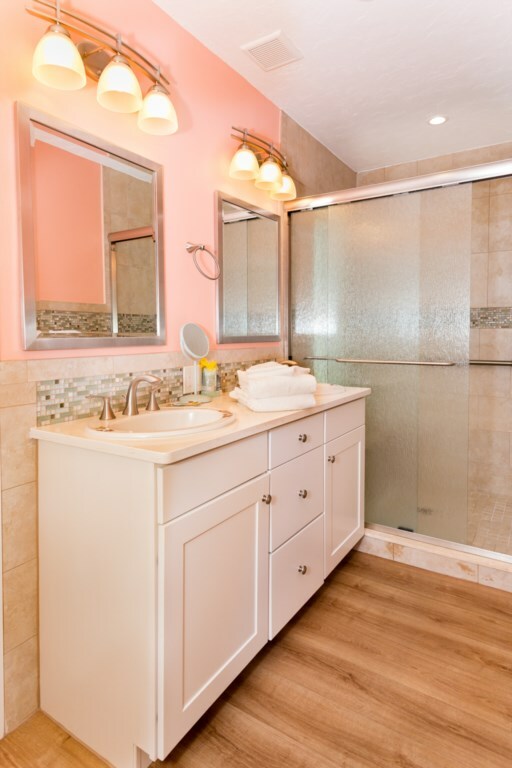 It has a roomy shallow wading ledge perfect for kids to play and splash around in. After steps, the pool gently slopes to a depth of six feet, with additional ledges on the sides for sitting and relaxing. 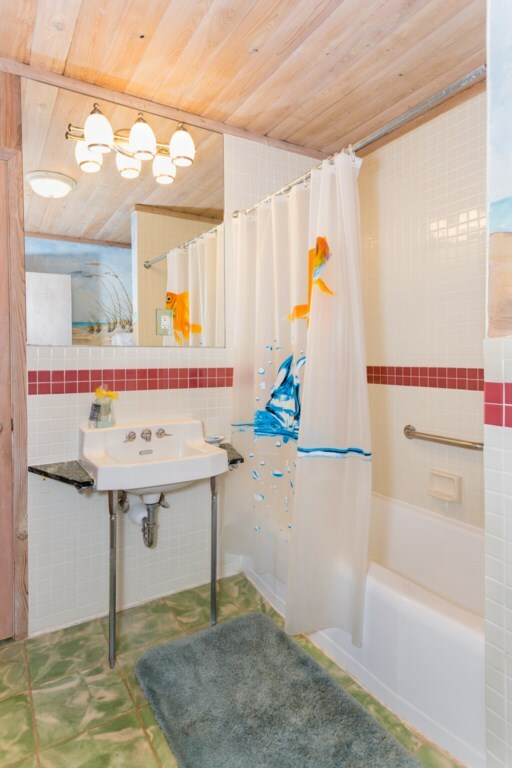 There are two outdoor showers, great for washing the sand off before entering the home. 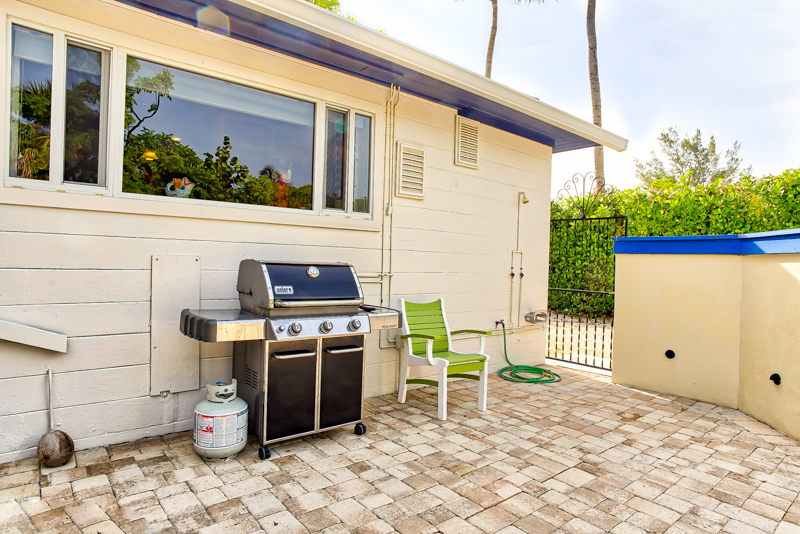 Amenities include a washer and dryer, 4 flat screen TVs, 1 large flat screen smart TV, 2 DVD players, a stereo, wireless speakers, and high-speed wireless internet throughout the home. 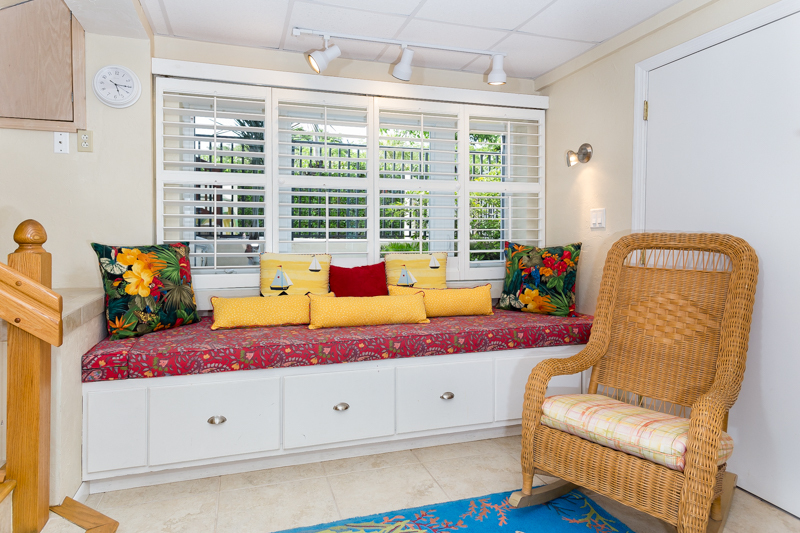 Baybarlyn is the perfect place for both large and small gatherings. 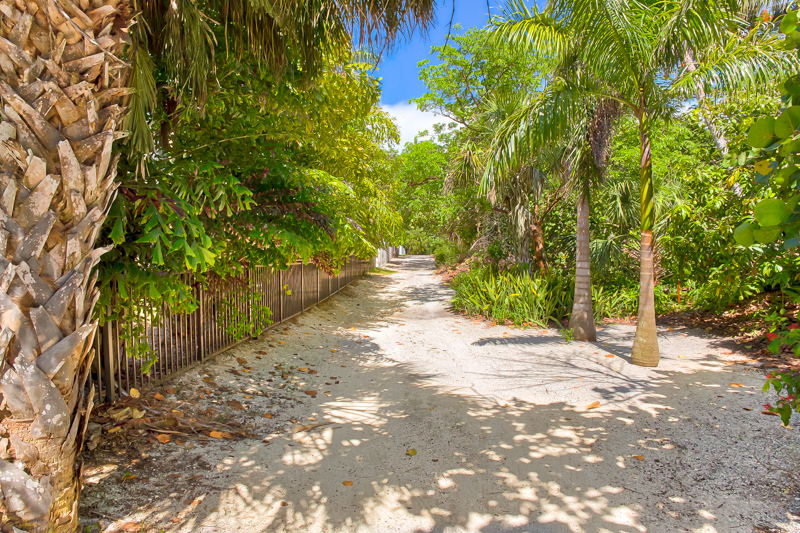 Stroll along the dock path while enjoying the tropical plantings unique to the islands. The dock is a great spot for some of the best fishing in the area. 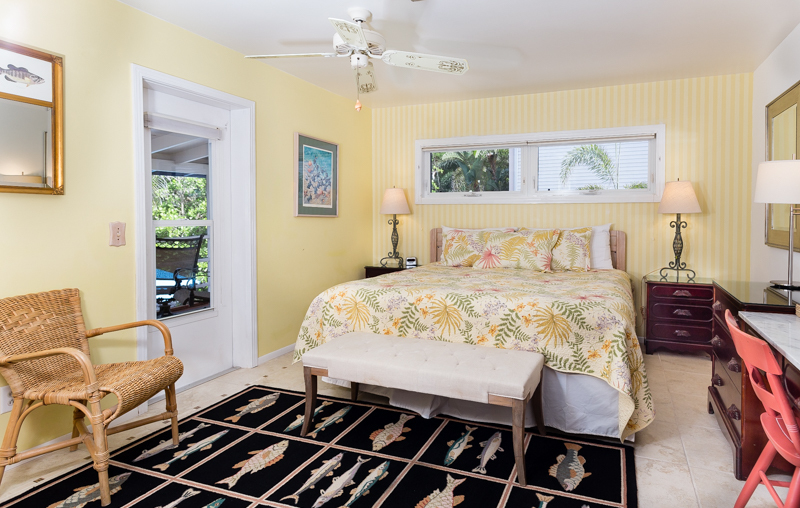 Right across the street is the home's private beach, a lovely place to relax, read, or play in the surf. 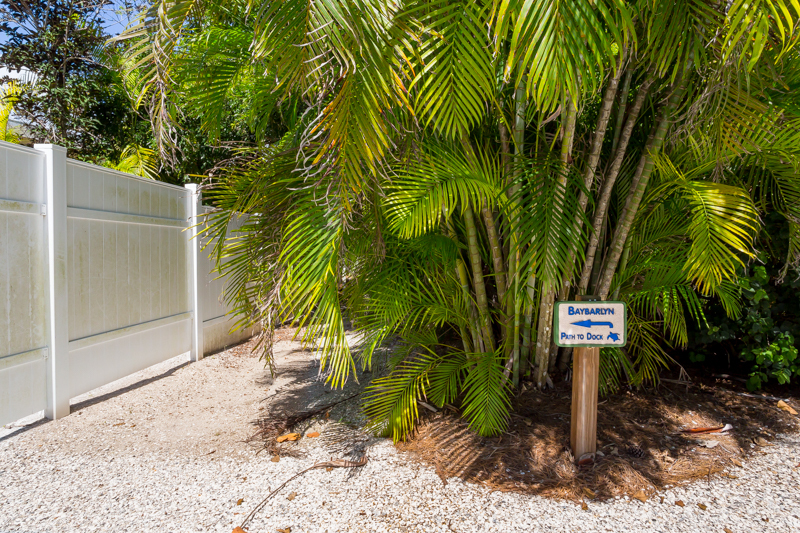 Captiva features world-class shelling, so you will easily find a few treasures to take home with you. 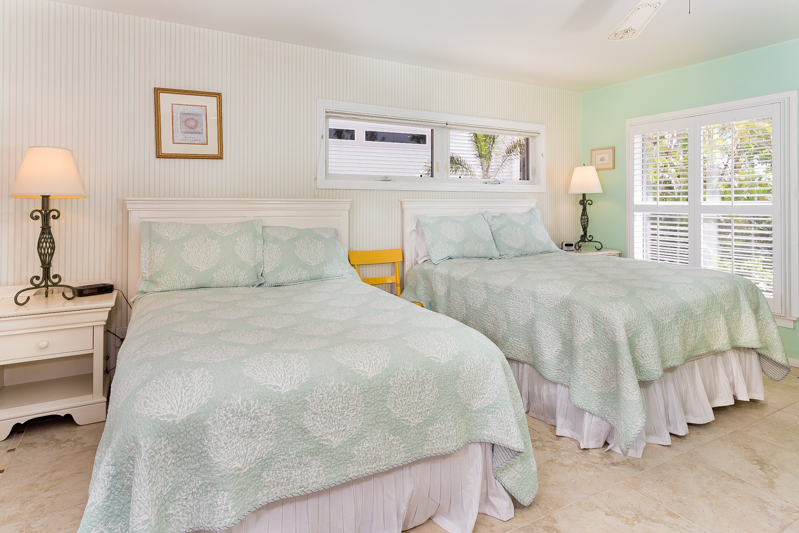 As the day melts into the night, enjoy our stunning sunsets and stargazing is second to none on Captiva Island. The properties distance from the mainland keeps the light and noise pollution to a minimum, allowing the stars to dominate the night sky and the sea breeze to be the only sound heard for miles. 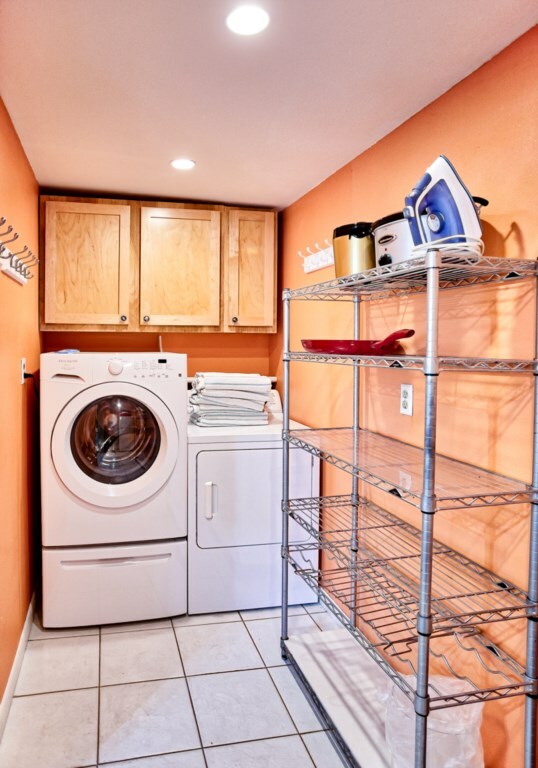 If you desire a night in, there are large screen TV's, Xbox, a game closet, and access to high speed Wi-Fi throughout the house. 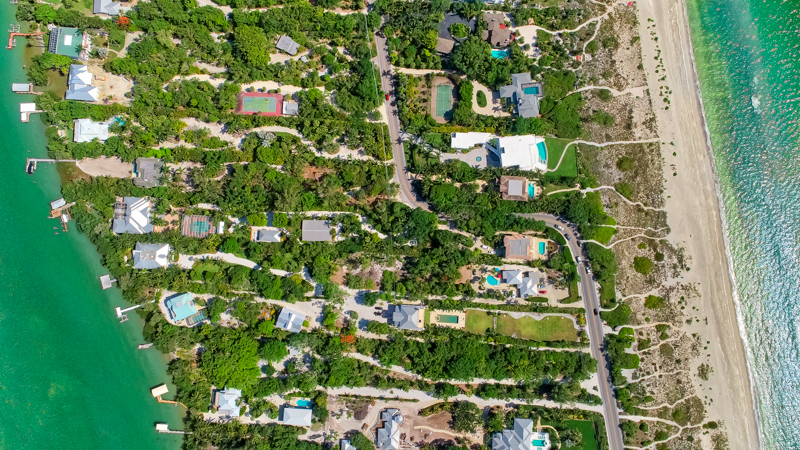 If you're looking for fun island excursions there are many options within easy walking or biking distance. Nearby 'Tween Waters Inn hosts crab racing on Mondays and Thursdays. Local art galleries such as Jungle Drums display the works of island and mainland artists and craftsmen. The island has several marinas where you can rent a boat to cruise around the islands and up the Inter-Coastal Waterway. 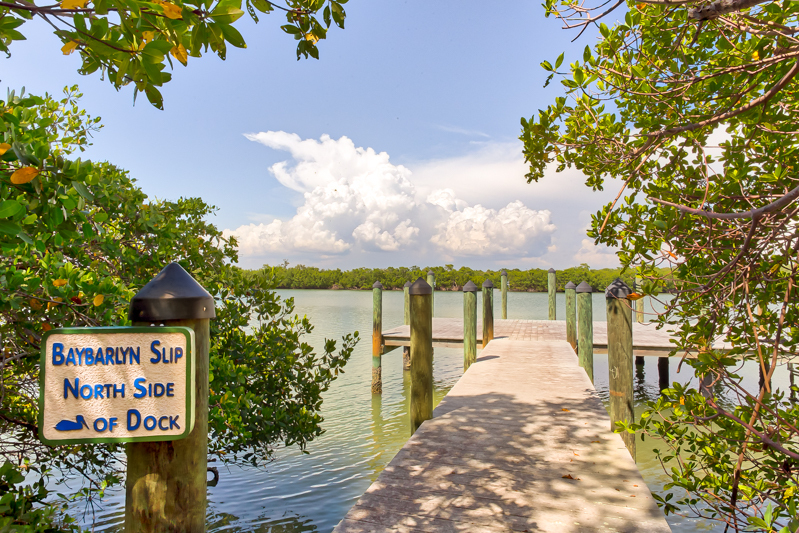 Bring your own boat and moor it at our shared dock in the back bay, a haven for sport fishing. 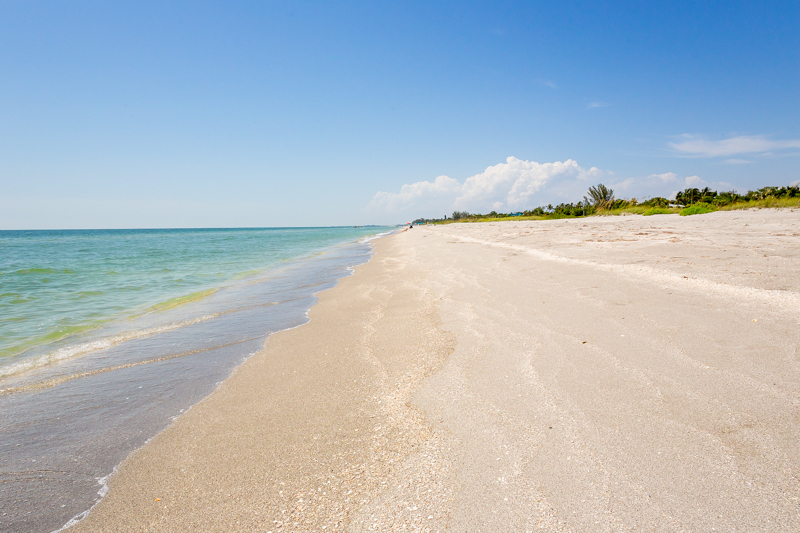 If you enjoy kayaking, you can rent one from various locations on both Captiva and Sanibel. Spend the day exploring the numerous bays and mangrove trails, such as the newly reopened Buck Key. Restaurants such as The Mucky Duck, The Green Flash, and Key Lime Bistro ensure that visitors with a desire for delicious food will not be disappointed. For dessert, pick up a giant slice of cake or pie from The Bubble Room, a quirky, 1930s-themed restaurant near the heart of the town. During the winter, visitors are welcome to attend services at the Chapel by the Sea. Services are held in a charming one-room schoolhouse-turned-chapel. 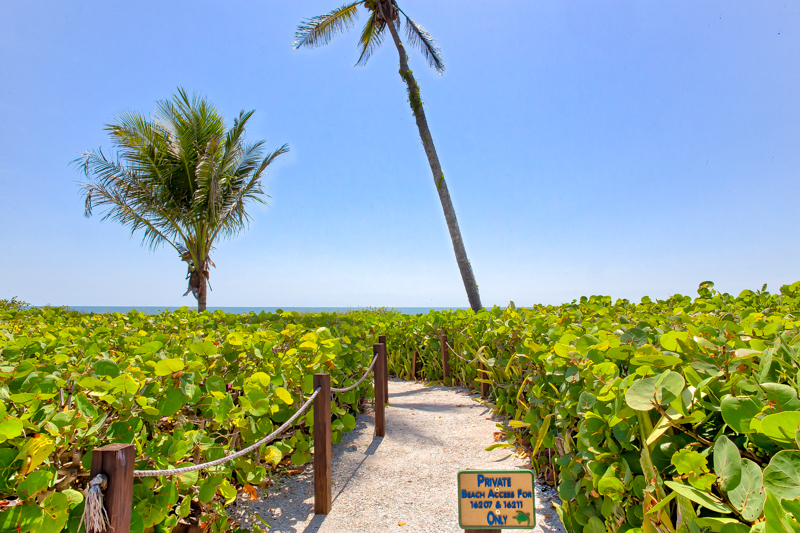 Sanibel Island is home to Ding Darling Wildlife Refuge and Clinic for the Rehabilitation of Wildlife (C.R.O.W.). These places are wonderful for learning more about the islands and local wildlife. Ding Darling has a beautiful wildlife drive, several walking paths, and is well known for its fantastic birdwatching. 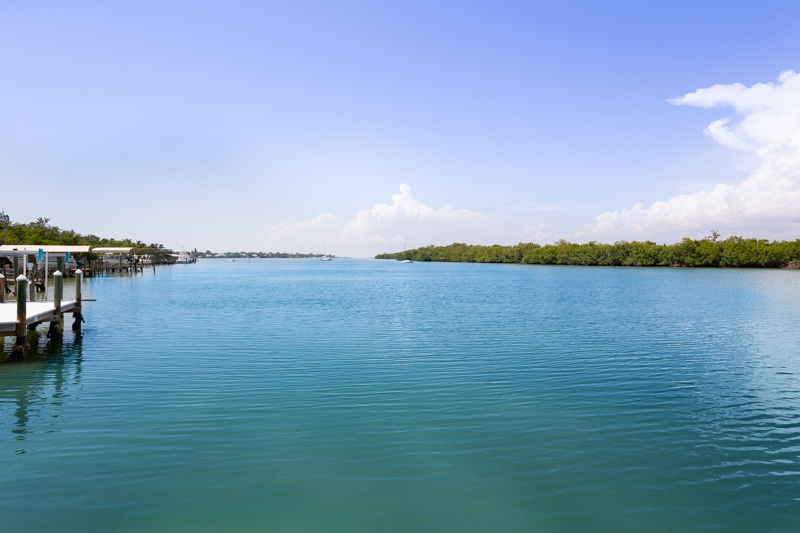 Tarpon Bay Marina and Wildlife, affiliated with Ding Darling, has a sea animal touch tank and gives educational boat tours of the protected bay area lead by Marine Biologists. C.R.O.W. also features many educational programs. 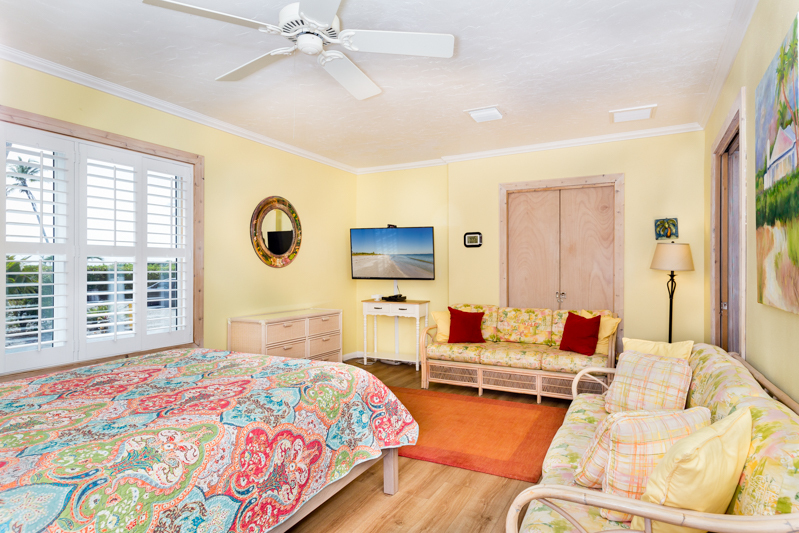 Whether you seek a warm, relaxing getaway during the winter or a fun-filled family vacation in the summer, Baybarlyn with its enchanting tropical charm will delight you.